It’s August and Gencon is just around the corner, the temperatures are rising and so is everyone’s anticipation for the next edition of D&D. 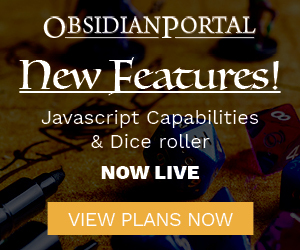 We’ve been covering a lot of news regarding 5e on the Haste Podcast and Jerry has been talking about it a lot on his blog. In one line: Tell us the best way to beat the heat! Whether you’re avoiding fireballs, surviving a red dragon’s breath, or simply not shriveling up under the Dark Sun. Also available in a Ladies fitted T-shirt sizes. In one sentence or less, and in a D&D (or at least “fantasy”) themed response, tell us how you or your character is beating the heat this summer. Get creative! On August 17th, at midnight, the contest will close. 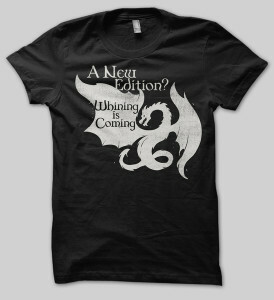 Afterward, 4 winners will be randomly chosen to win a D&D 5e Starter Set, and one additional hand-picked winner of our choice will receive a d20Monkey “Whining is Coming” T-shirt along with a D&D 5e Player’s Handbook, and a Starter Set as well. Note: Contest winners limited to US/Canada only due to shipping expenses, if you are overseas you are still welcome to enter, upon winning we can offer a year of free Ascendant subscription time. A Fresh Comic Awaits Your Silly Words! The summer heat is in full swing, and something is definitely going on in this blank comic strip by d20Monkey… it needs your words! We’re going to go out on a limb and say there’s going to be quite a few brokeback mountain jokes here, let’s just try and keep them at least remotely tasteful, shall we? Speaking of tasteful, you should know that Brian Patterson of d20Monkey is trying to make comics a full-time gig you can help support him by checking out his Patreon page if you’re interested in pitching in! We know Halloween is right around the corner so this comic should scare up quite a few great captions, and since we’re oh-so thankful for d20Monkey we’re going to let it run through mid-November. So feel free to go wild with the captions on this one, get them in by November 15th at midnight for your chance to win some awesome schwag and free Ascendant time! The Caption Contest Is Back! Haste: Excellence In Innovation Finalists, Dragon’s Game Board, Dragon’s Bard, Gencon Tips and More! New caption comic is up, get on it! Our finalists for the Excellence In Innovation Award are: Masterplan, Roll20, Character Distiller, Fantasy Grounds, Lost Tools, Dark Theatre’s Character Folio, and Tabletop Forge. Come to our panel this year for some conversation and to find out who wins the award. We hope to see you at gencon!